The cache is located at a view point of the village Skjolden. 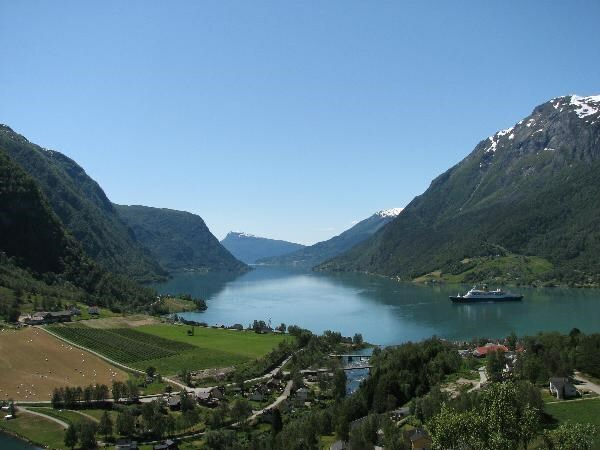 Norway’s longest fjord, the Sognefjord, lies in the heart of the Norwegian fjord country. The fjord is 204 km long, from Solund at the coast and to Skjolden, close to the mountains in Jotunheimen. At the deepest the fjord is 1308 m deep. 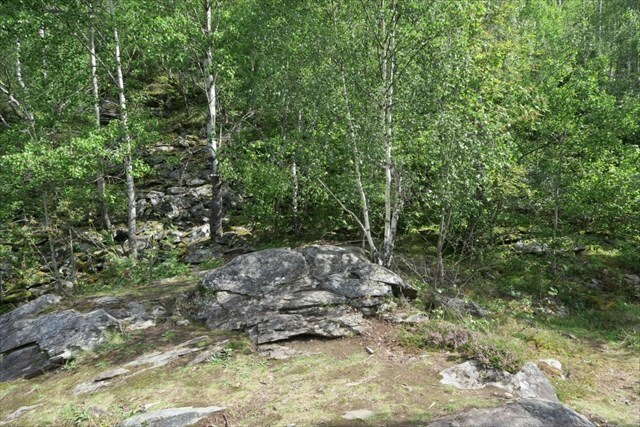 The cache is located at Sengjaberget (in English: “Bed Rock”). At the cache location you will have a magnificent view of Lustrafjorden (inner part of Sognefjorden), and the small village of Skjolden. To get to Sengjaberget (the cache!) you can park at Fjordstova in the centre of the village and follow the signs and the waypoints. The walk will take about 1 hour (there and back). This is the recommended route, but you could also park along the road e.g. at waypoint XR. You could also continue the trip for 5 – 10 min on the path and get to a local point (“tur-orientering”) and sign the log there as well. View of FjordView from cache location.